BUSH TUCKER & BILLY TEA! In Kindy Gold, as part of our science inquiry bush unit, we have integrated learning about the first Australians. 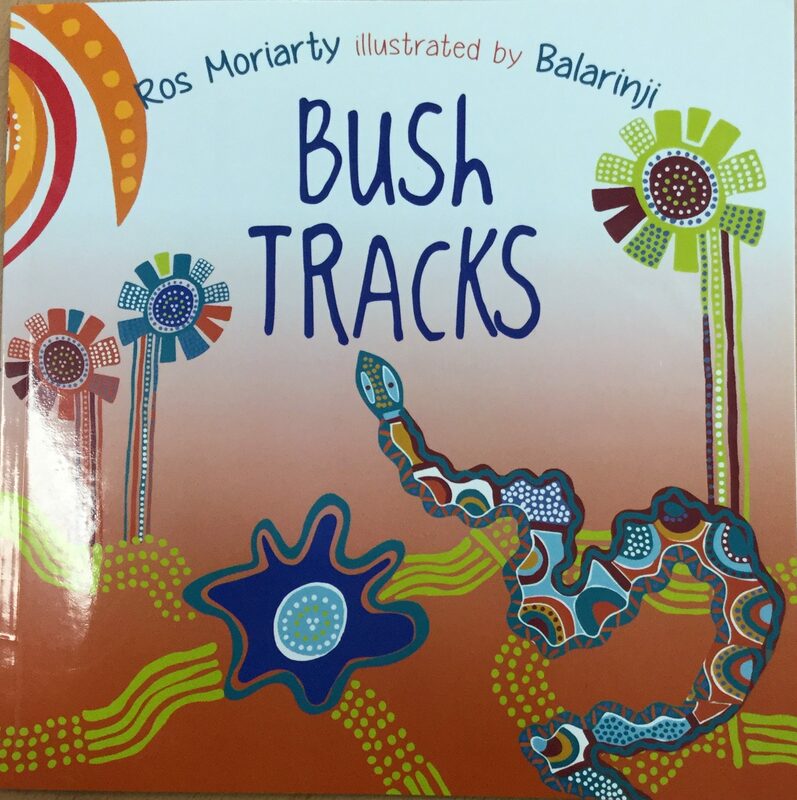 We have enjoyed reading a number of stories that have taught us about the Aboriginal culture and traditions. 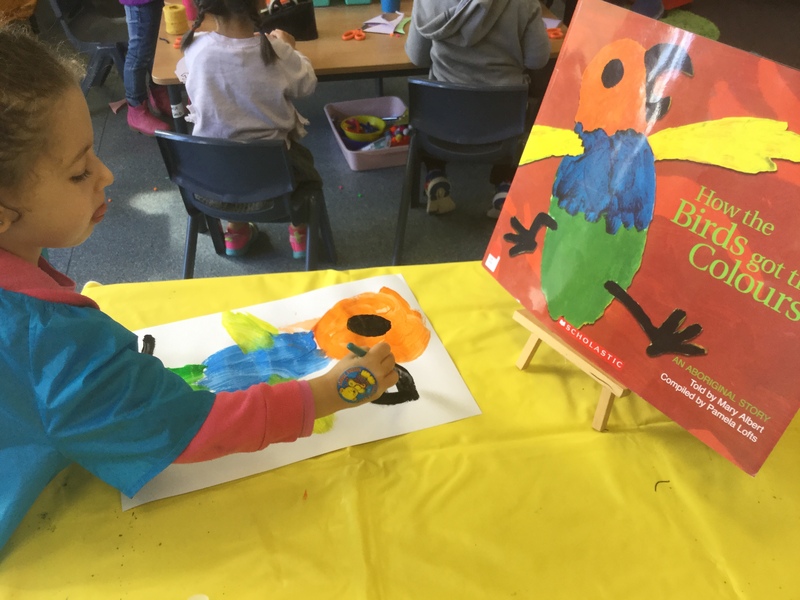 We read, “How the Birds Got Their Colours” and discussed the meaning of this Dreamtime story. 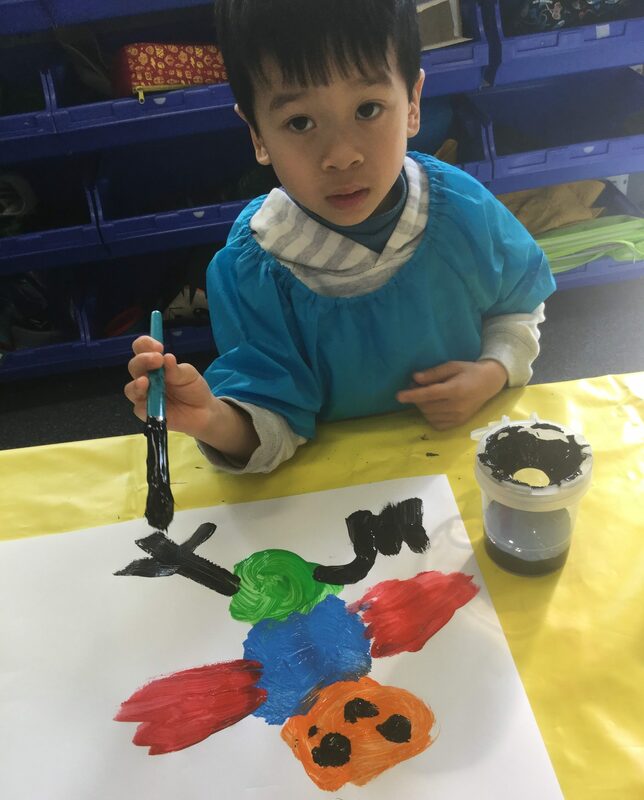 The children painted their own version of the birds of colour. 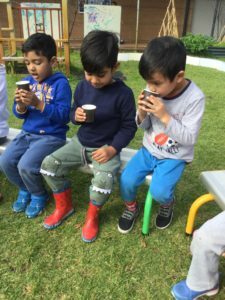 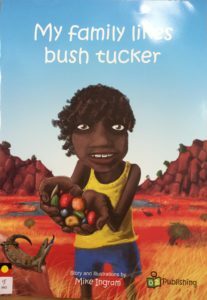 We read “My Family Likes Bush Tucker” and “Let’s Learn About Bush Tucker.” We discovered what “bush tucker” is and the different types of bush tucker enjoyed by the Aboriginies, such as, witchety grubs, emu, berries, goanna and barramundi. We read about the tools used, to hunt and gather bush tucker, made from natural resources found in the bush. 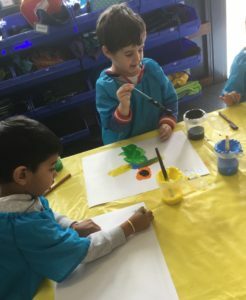 We discussed the Aboriginal flag, what it looks like and the meaning of it’s colours. 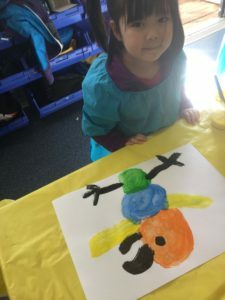 The children painted handprints to reflect this. 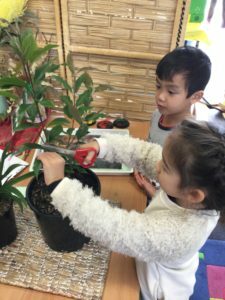 Mrs Poinen bought a LEMON MYRTLE BUSH, which is a native to Australia. 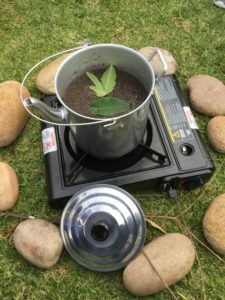 The lemon myrtle leaves (or alternatively, gum leaves) are used in the making of billy tea. 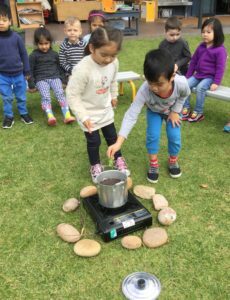 When we first discussed this, not many children in the class knew what damper or billy tea was. 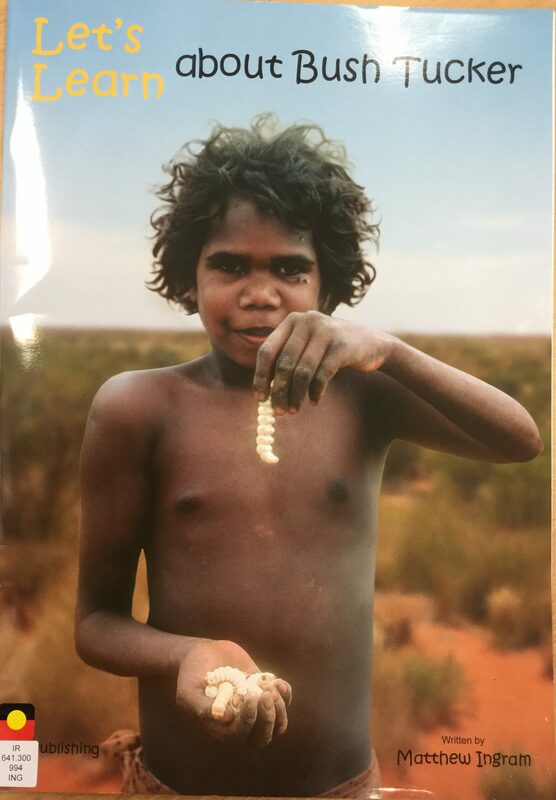 So, we viewed an interesting series of photographs about how damper is traditionally made by the Aborigines and listened to an audiovisual where James Schultz describes how traditional bush damper is made. 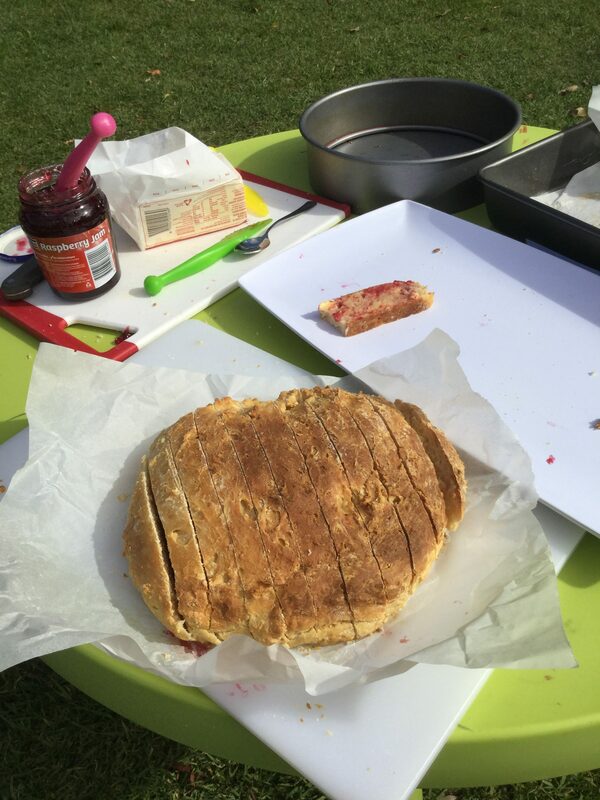 Bush damper is cooked in the ashes of an open fire and tradtionally, the flour was made from SPINIFEX SEEDS. 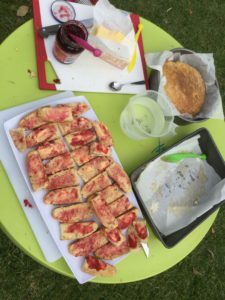 The ladies would go and collect the spinifex seeds from spinifex bushes and use a grinding stone to grind them and make the flour. Mr Schultz cooks bush damper almost every day and feels it is important to keep the tradition of bush cooking alive. 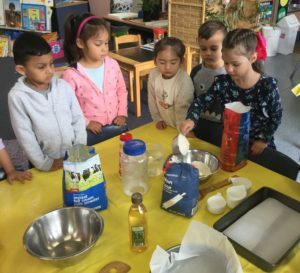 “The culture is 40-60 thousand years old scientifically, and we want it to keep going for another 40-60 thousand years so that’s why it’s very important to continue and teach our young, keep them informed,” says Mr Schultz. 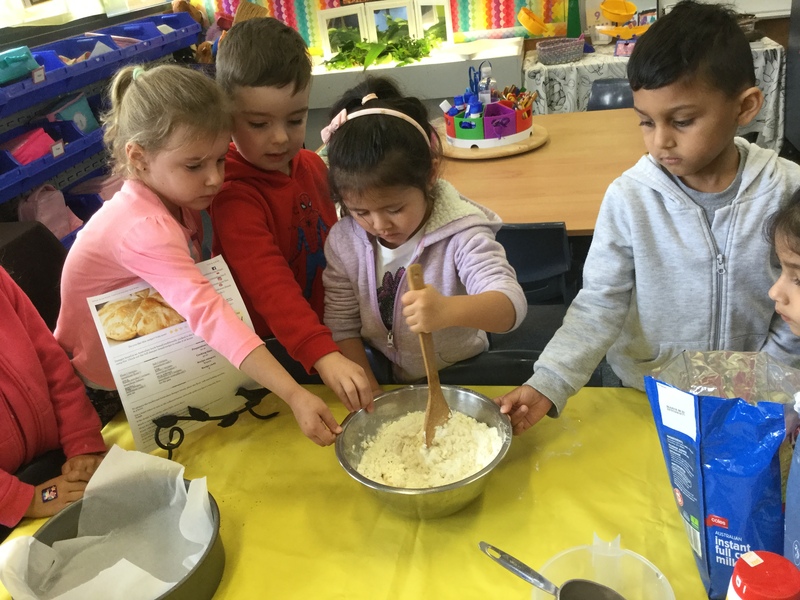 We used Mr Schultz’s very recipe and adapted it slightly to re-create our own damper recipe! Carefully following our recipe. We all washed our hands with soap before commencing our cooking! Measuring quantities and pouring into the bowl to create our damper mixture. 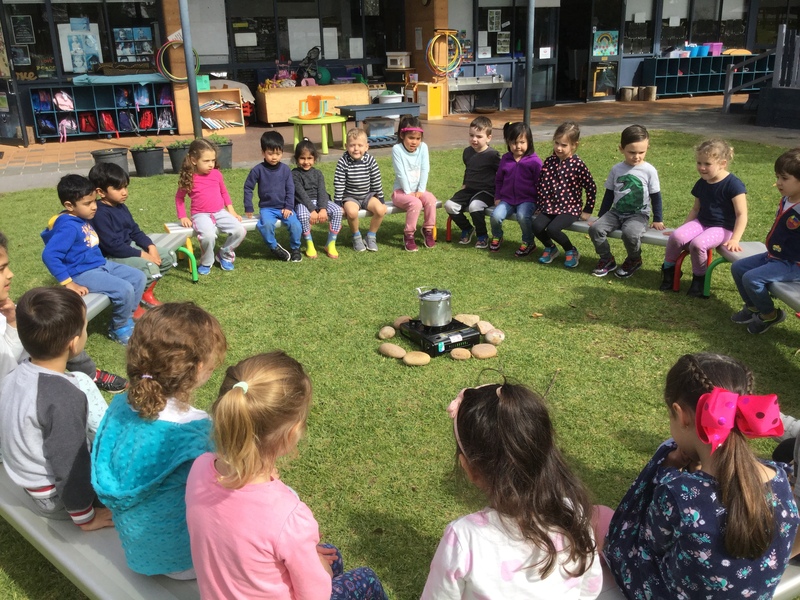 We didn’t think Mrs Thuijs would approve of us building and cooking our damper on an open fire in the Kindy grounds…so we cooked our damper in the staff room oven instead! 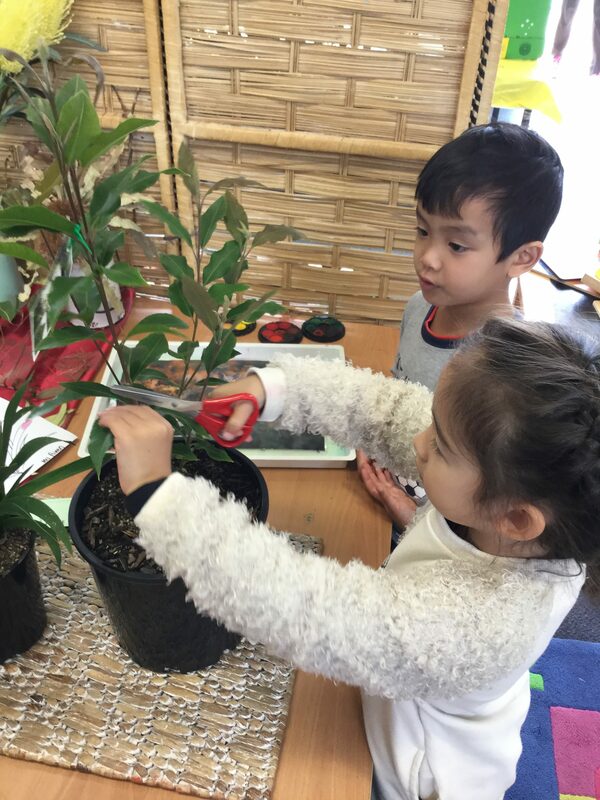 Carefully picking the leaves needed from the Lemon Myrtle bush to add into our billy tea. 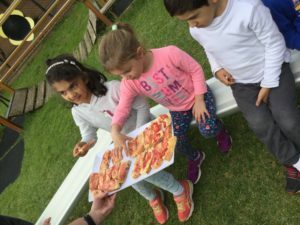 Finally, our bush tucker was ready! 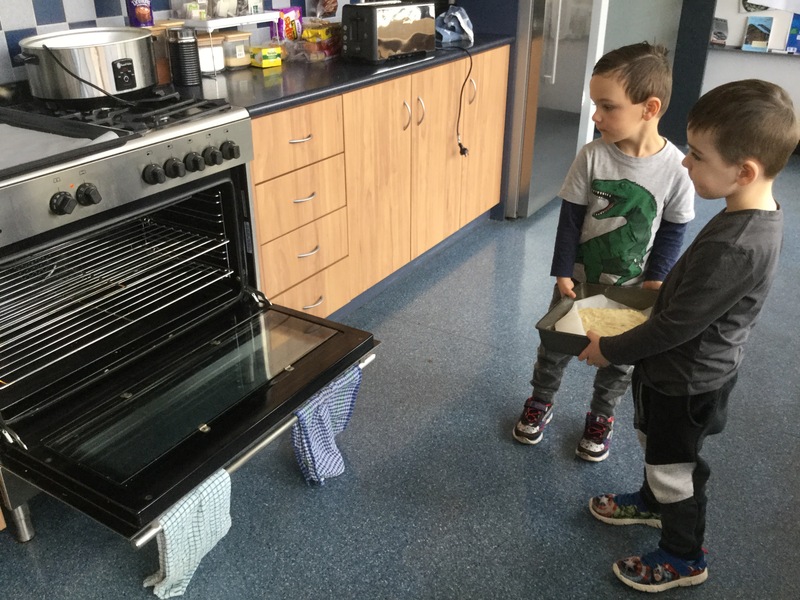 OH… our classroom smelt amazing from the freshly cooked damper straight out of the oven! And…it was finished in no time! 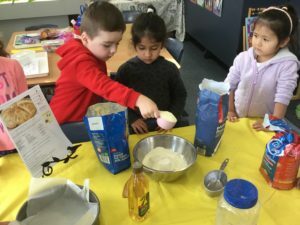 Most of the children asked for seconds! 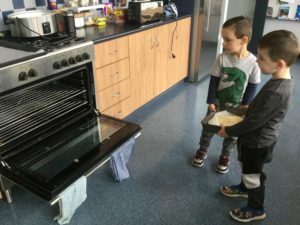 Luckily we cooked two batches! 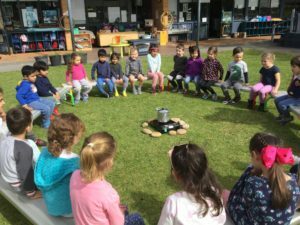 We had a great time cooking damper and making billy tea! We also enjoyed learning about our Australian heritage and the Aboriginal culture.